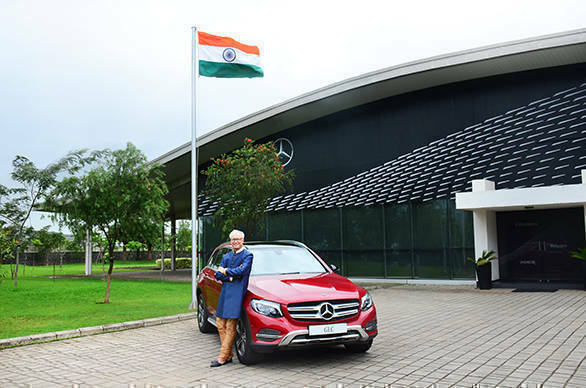 German luxury carmaker Mercedes-Benz launched Monday a special 'Celebration Edition' of its mid-sized SUV, the GLC, to mark 70 years of Indian Independence. The most apparent change in this special edition is a new colour, designo hyacinth red. This new edition is available on the Mercedes-Benz GLC 300 and 220d at all dealerships in the country. Another major upgrade on offer in this edition is the Garmin Map Pilot SDcard system, which the company states will provide accurate map data, bringing the advantage of Garmin navigation to the vehicle. Other upgrades to the GLC Celebration Edition include a sportier high-gloss black mirror housing for the outside rear-view mirrors (ORVMs), sport pedals made from stainless steel with non-slip stud inlays, chrome accents for intakes under the headlamps, a chrome rear trim strip, as well as LED three-pointed star logo projector puddle lights in all doors. Mercedes-Benz MD Roland Folger said that 'Celebration Edition' will be made in limited numbers. The reason for introducing this edition for the GLC line is that it is a vital addition to their product offering ever since its launch in June 2016, he said. 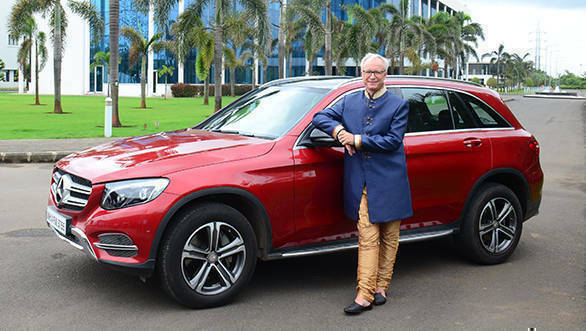 "GLC has cemented Mercedes-Benz's strong presence in the luxury SUV segment in India and has emerged as the highest-selling SUV in the portfolio. We expect the GLC to remain our key volume driver," said Folger in a statement. The 2017 Mercedes-Benz GLC in its 300 (1,991cc, petrol) stock form is priced at Rs 49.98 lakh (ex-showroom, Delhi) while its 'Celebration Edition' will cost Rs 51.25 lakh (ex-showroom, pan-India). Similarly, the GLC 220d 'Celebration Edition' (2,143cc, diesel) will cost Rs 50.86 lakh (ex-showroom, pan-India), Rs 49,000 higher than its stock variant.